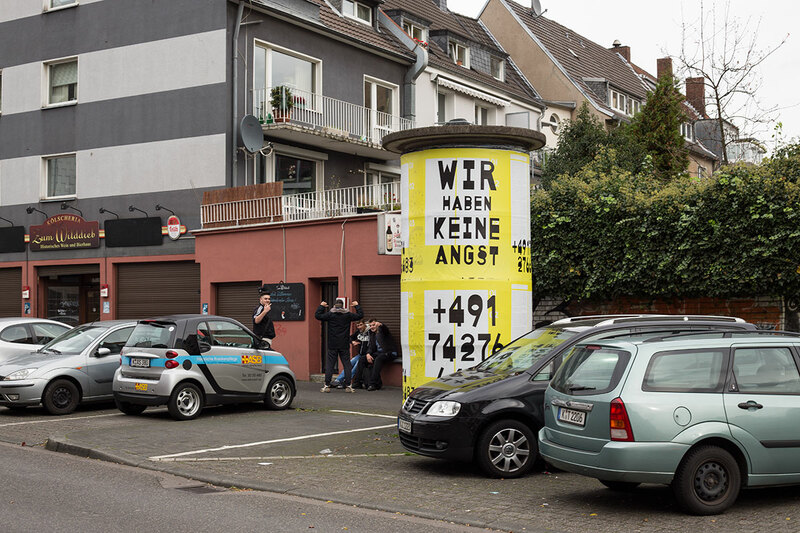 A project combining posters in public space and a mobile phone. The ZKM show touring from 2017 to 2019 has now come to an end. Even when it's not on view, the project is running continuously. The mobile phone is always reachable.